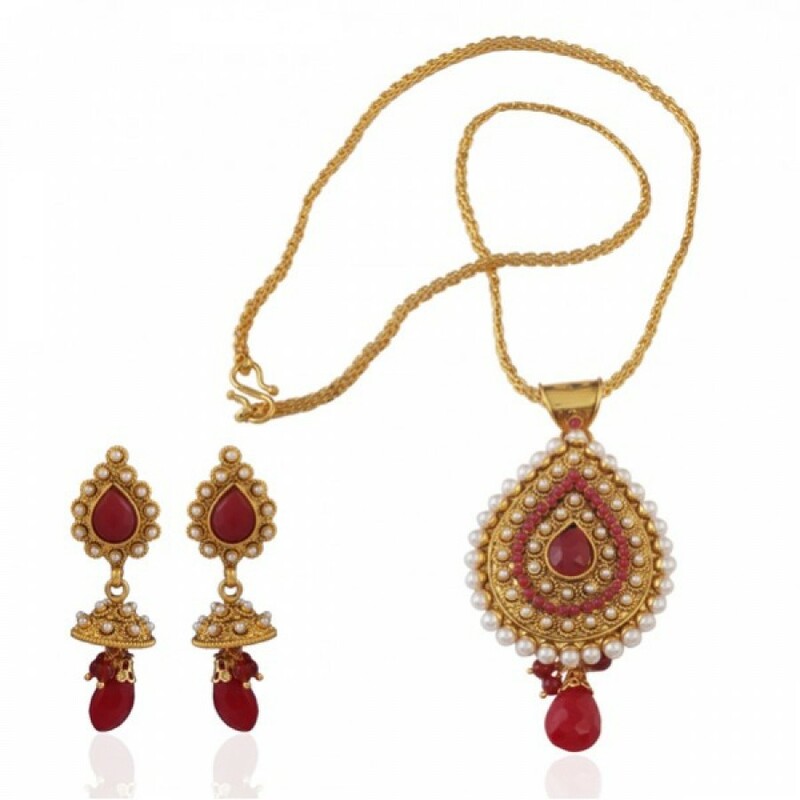 Superb gold plated antique pendant set with matching earrings Made of copper and brass alloy & embedded with white & marron beads and maroon drops Excellent valuepick and light on the wallet as well.Shop now ! 1. Click on "Buy Now @ PANJARAT" on this page. 2. You will be redirected to "PANJARAT" Merchant Website.